Shropshire Council’s Local Plan Review is attracting much interest – and nowhere more than in Much Wenlock. There was standing room only in Priory Hall for the “preferred sites” presentation on 3rd January, there were interested residents at the Town Council’s Planning Committee meeting on 8th January, and every seat was taken in the Guildhall for the Extraordinary Town Council meeting on 17th January. The views expressed have mostly been against either any development, or development at the “preferred site”, or development in the near future when there is uncertainty about the pressure that building a new village on the Ironbridge Power Station site might exert. But other views have come forward – one resident believes it is “important to encourage incremental growth so that local facilities are supported”. Another, from a member of the Much Wenlock Civic Society committee, has advocated for the preferred site in order to resolve the flooding issues that have beset Hunters Gate since its construction. There will be many who are keen to consider what alternatives there might be. In the Much Wenlock Place Plan area, several housing sites were proposed and some were ruled out early in the process, such as the four in Homer, one in Brockton and two on the edge of the Much Wenlock development boundary. You can see them here, and you can also see the “runners-up”, which might be worthy of further consideration. The presentation by Adrian Cooper, Shropshire Council’s Planning Policy & Strategy Manager on 3rd January in Much Wenlock, can downloaded here. For those who didn’t make the meeting I chaired on 3rd January, this gives some useful insights into the Shropshire Council approach. For the sake of completeness, the Much Wenlock Place Plan includes Cressage, Buildwas and other communities but they don’t fall into my Much Wenlock Division of Shropshire Council, so I’m not commenting on them in this article. 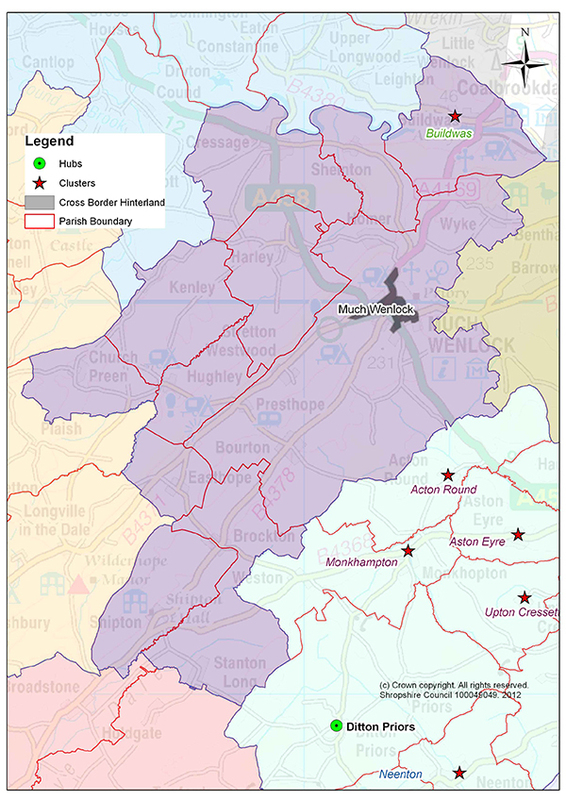 Conversely, Barrow parish and the Broseley Wood ward are in my Division, but there are no preferred sites included. The consultation period has been extended to Friday 8th February, and I urge you to take part using the weblink here, or obtain a paper form from the library.